Choo Choo! All aboard! What’s the first phrase kids learn to say? One of the phrases is actually “choo choo!” Kids love the look, feel, and sounds that Choo Choo shoes create! Kids will get up and go just to hear the fun and soothing sounds of a passing train! Keep your kiddo chugging along with Choo Choo shoes - adorable, comfy sneakers that really chug, whistle, and light up! 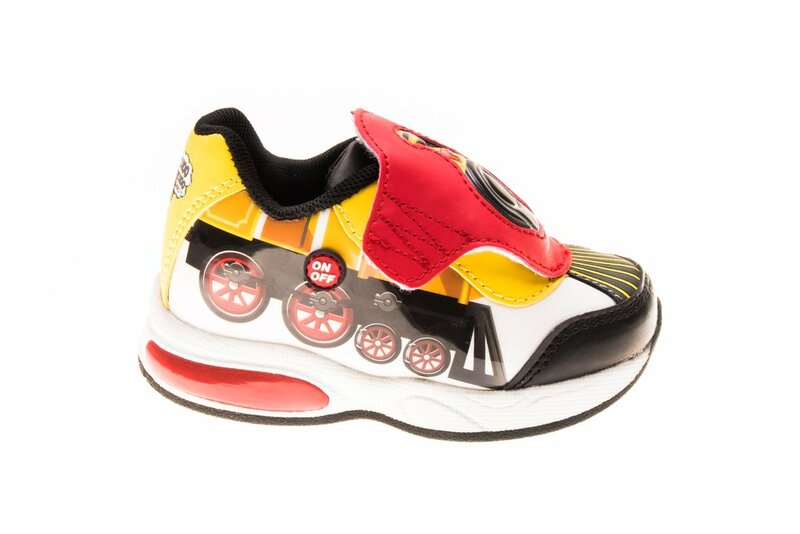 Choo Choo shoes are designed and created by a group of train enthusiasts and toy train creators. Choo Choo shoes were created using many of the same mechanisms and ideas that model trains use. We were sent two pairs to test out - one pair went to my son who loves to test out new things, and the other pair went to my nephew who is a huge toy train collector. I must say both children approve and have so much fun while wearing them. 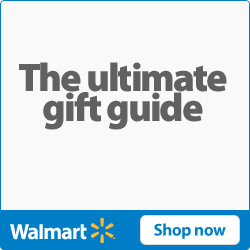 You can find Choo Choo shoes on Amazon, and they come in red and in pink. 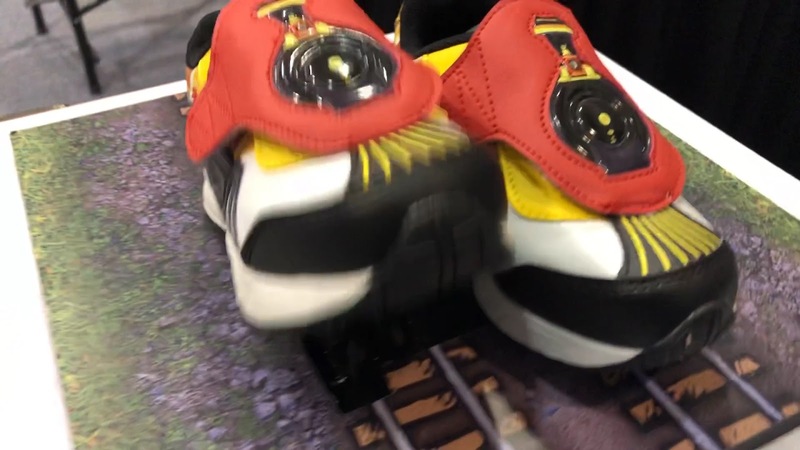 Choo Choo shoes are activated when your child steps, and jumps. There is even a light to give a realistic look at the top of the shoe when your kiddo jumps as well. Choo Choo shoes will get kids moving and playing, which allows for more play time and less screen time. I saw my son’s imagination run wild as he ran wild in these cool shoes. Perfect for kids, and for parents, Choo Choo shoes even have an off switch on each shoe, which is also perfect for Schoo. A super fun effect is the soles of the shoes that have a train track tread so you can make train tracks in the sand, dirt, or snow. Choo Choo shoes will promote pretend play as well as keep your kiddos active. The design elements are a lot of fun with the train wheels and locomotive elements with real working light. Plus the sneakers look like nice running shoes, which allows high comfort with whimsical style. 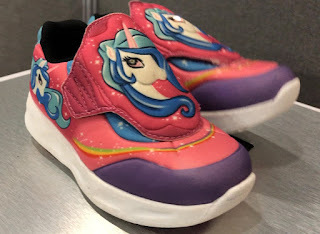 At New York Toy Fair, I also saw that they had Choo Choo shoes with a unicorn motif! The shoes were so magical and sweet. Each step made a galloping sound, and a jump made a magical sound. Big thank you to Choo Choo shoes for sending us these awesome shoes for our review! The kids really are enjoying them.